Book Review: Thisby Thestoop and the Black Mountain | Portraits of M.E. Middle Grade March was a success! I read (and finished) so many good middle grade books and I can’t wait to recommend them to you, but it’s going to take a few posts to get through them all. To be honest, I probably will only review a few of the books I read on this blog but I will be recording a video going over all the books I read for Middle Grade March, so if you are interested in that be sure to check out my YouTube channel – Portraits of M.E. The first book I’d like to review, and I think it was my favorite of the month, was a book I received in my May Owlcrate Jr. box titled Thisby Thestoop and the Black Mountain by Zac Gorman. This books shares the story of Thisby who is the gamekeeper of the Black Mountain. She makes sure all the creatures are taken care of and that they are kept where they should be kept. 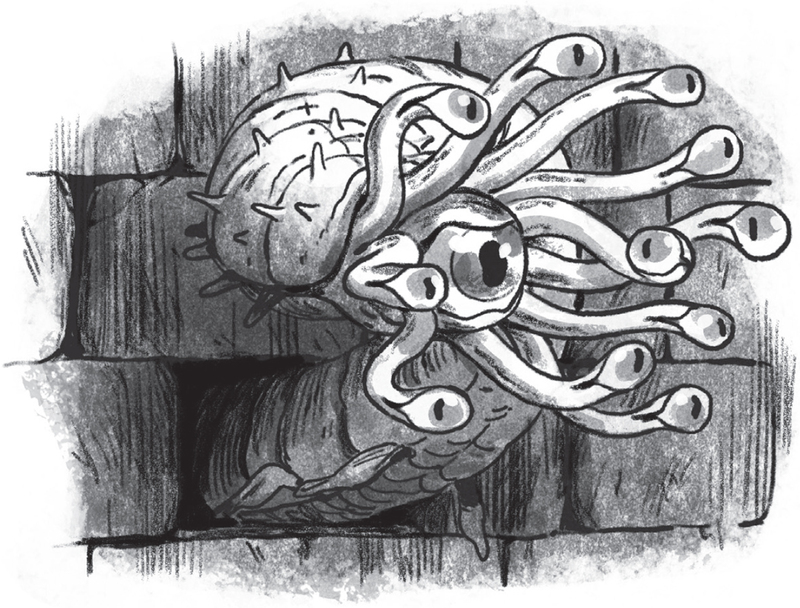 All seems well until the dreaded Darkwell begins to malfunction and the monsters of this terrible prison try to escape into the Black Moutain. 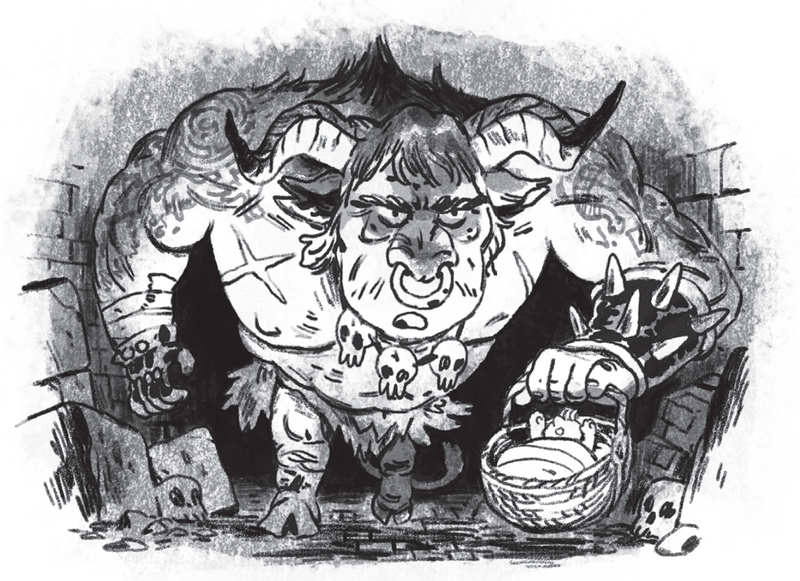 It’s up to Thisby to figure out how to fix the problem and keep these terrible beasts in their place while also keeping the Princess of Nt, who happened to be touring the mountain, safe from all horrors that inhabit the Black Mountain. This book was everything I would have loved as a child – and I enjoyed it as an adult too – because it encompassed so many things that triggered my imagination. 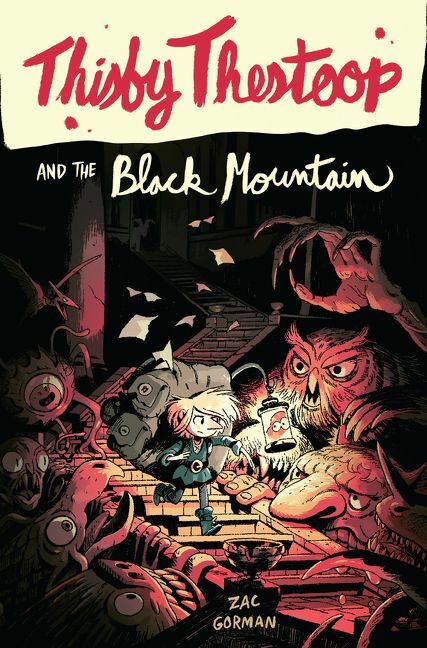 From the main character Thisby and her quirky ways to the devilishly horrific creatures that dwelt in the depths of the Black Mountain, all of it was described incredibly well by author Zac Gorman. I could envision the world he created and I was convinced this world existed. 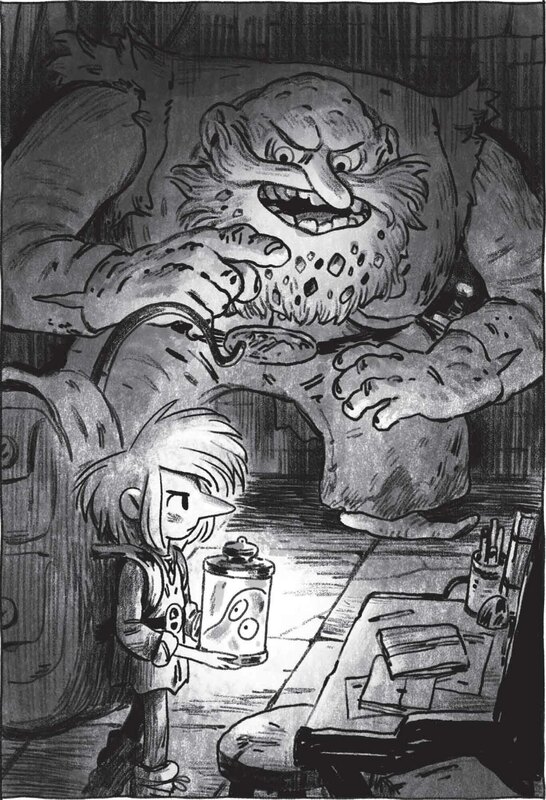 If you want a book full of mystery with creative creatures and fun illustrations by Sam Bosma, that enhance the story, then I think you will like this book. One of the reasons I think I loved this book so much was because I read this book while listening to the audio. Yes, I read the physical book while listening to the audio. I just can’t listen to audio by itself or my mind wanders, so I need to read it and see the words to help me focus on the story. 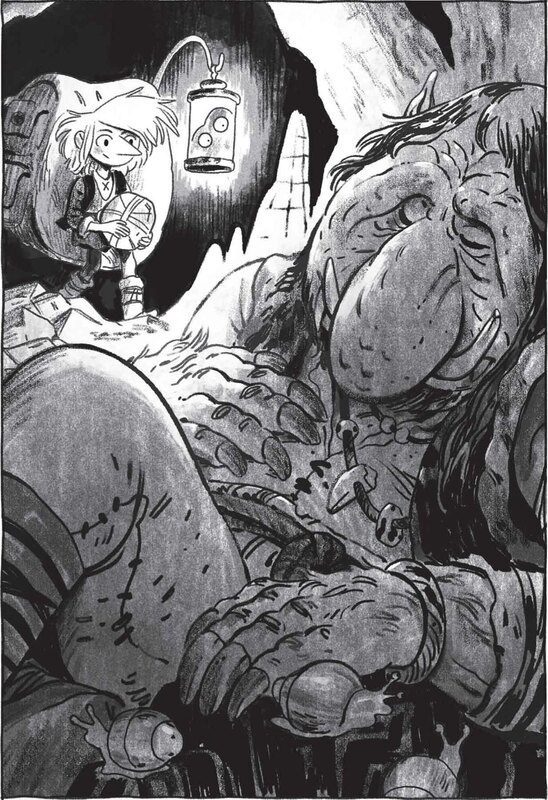 But anyway, I think the narrator, Moira Quirk, did a fantastic job of bringing Thisby to life. She was upbeat in her reading and you could feel the emotions of the characters as she narrated the story. If you like audiobooks, you should pick this one up – you’ll be pleasantly pleased and entertained. 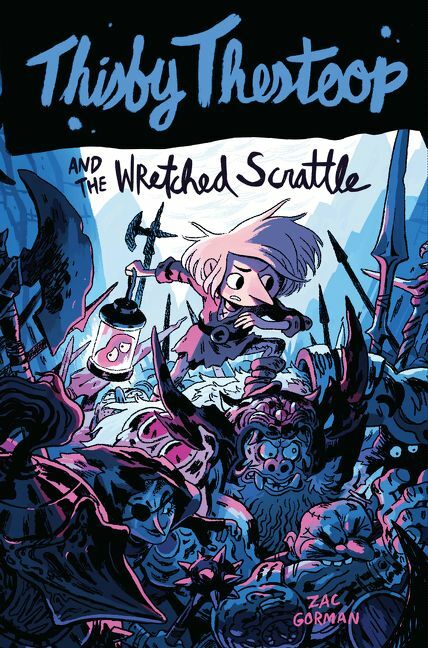 And I’m very excited that Thisby is going to be a series with the next book, Thisby Thestoop and the Wretched Scrattle, coming out this month (April 23rd). I’m hoping this one is as good as or better than the first – although that may be a high expectation since I liked the first book so much. You can read a sample of Thisby Thestoop and the Black Mountain by clicking HERE.